Get in the spirit, cast a culinary spell, get your ghouls goblin when your order a dozen of our demonically good just for Halloween Jack O Lantern cookies! 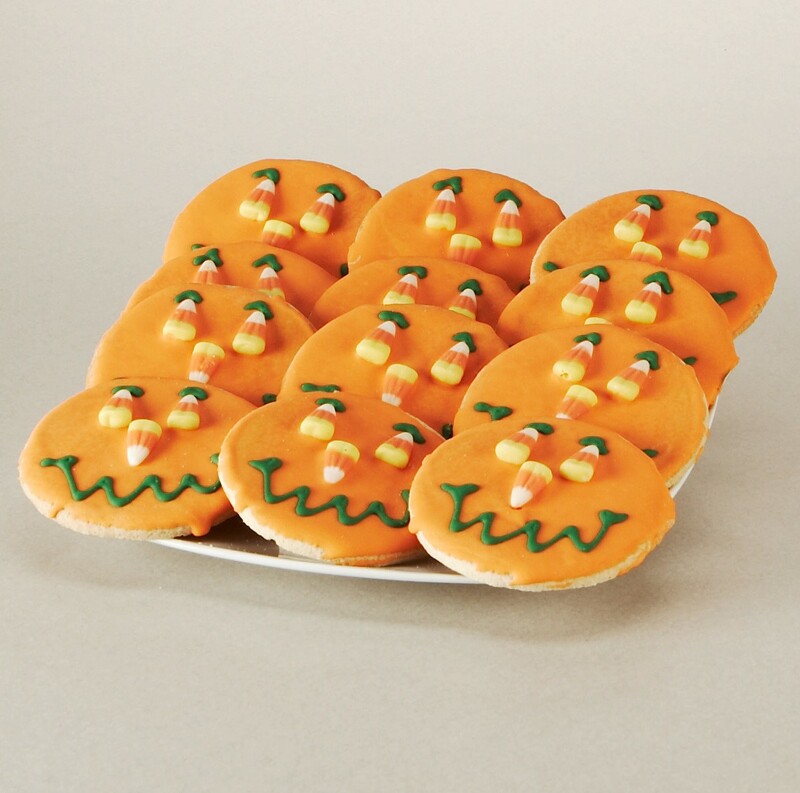 Made fresh daily with the same artistry and pure ingredients as our original Smiley Face Cookies, our Halloween Sugar Cookies are all dressed up with classic candy corn and hand-iced in Jack o’ Lantern orange. We bake these Halloween treats fresh by the light of the full moon and send them straight to you or whomever you choose. The ultimate Halloween party food, our Jack O’ Lantern Smiley cookies make trick-or-treaters howl with delight — and mummies love them, too! I received a dozen Halloween Smiley Cookies from Tomoson and Smiley Cookies to review! These cookies were so good the kiddos ate them up with in a few days. 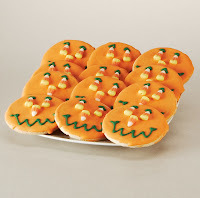 They are great tasting sugar cookies!They are adorable cookies and are great for this time of year. You can purchase the same cookies that I got to review here. They are $14.99 before the 20% discount code available for "likeing" Smiley Cookies facebook page. Smiley cookies also have many other Halloween gift baskets and snack packages. You can see those here. Prices for the snack and gift baskets range from $14.99 to $44.99. Don't forget you get a discount for "likeing" Smiley cookies on face book. Cute idea, the cookies are adorable! I am stopping by from BSN Halloween Hop! Happy Halloween!